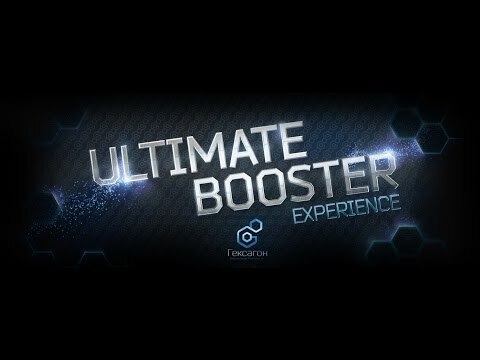 GexagonVR proudly presents our new extreme experience — Ultimate Booster. Topseller from TheRIftArcade (#2) and WeArVR finally comes for CV1! Take a ride on a huge 200m (600ft) swing with a breathtaking views of the city under your toes. Awesome graphics, a twisted ending and a powerful soundtrack from hot guys Totemlost! You are a DK2 owner and even use 0.8 Runtime? Dont worry, we have a version for you too! Oculus Home page is in progress. We recommend to show this experience to your friends and family — you'll have a lot of fun together! Its ultimate oculus-party starter! Also, you can try to stand on your feet all ride long for even more fun, but don't do this alone! 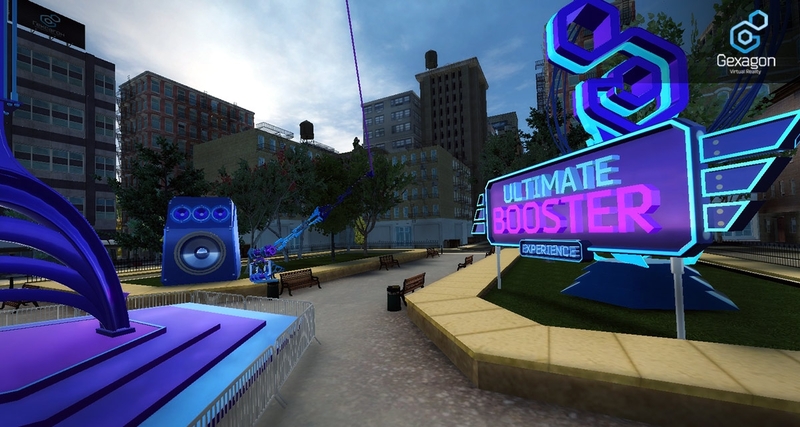 Actually, we wanted to create two experiences in one: player standing on the roof in the middle of large city, listening to city sounds, watching birds fly around and an extreme ride on giant swing with energy and modern soundtrack. 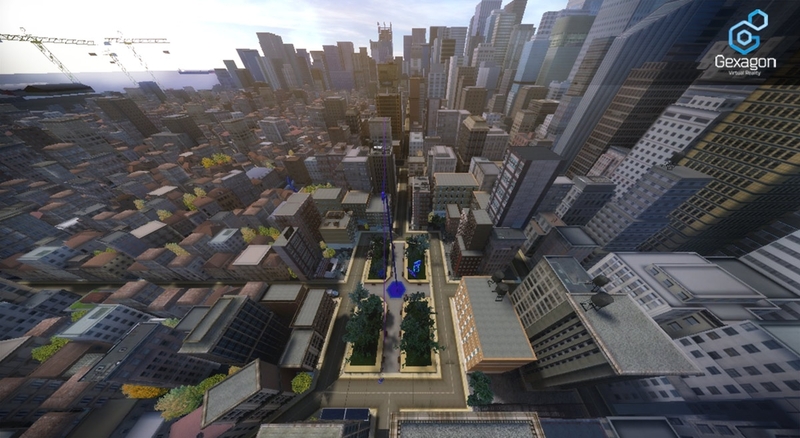 The city model is about 100 square kilometres and its all baked lighting! For 2 month that took development we introduced to VR about 7 000 people in Eastern Europe with our Gexagon Demonstration Platforms Network. And its about 2 millions for last two years! You just have to paste the YouTube.com URL as text (not YouTu.be). OoooOOOOooooh! The first version was the only ride to make me get the willies out of any I've tried, so you can bet I'll be purchasing this later! Facebook bought Instagram. How exactly did they ruin them? Hey, @steelfly I bought this and I can get a little buzz from it but much less than the old one that was on Share for DK2. Anyway, is there any chance that you'll make any updates for it now? I'd like to see an extreme ride pattern that focuses heavily on the sort of motion that causes sickness in some people, also the option of an endless ride mode. Thanks! 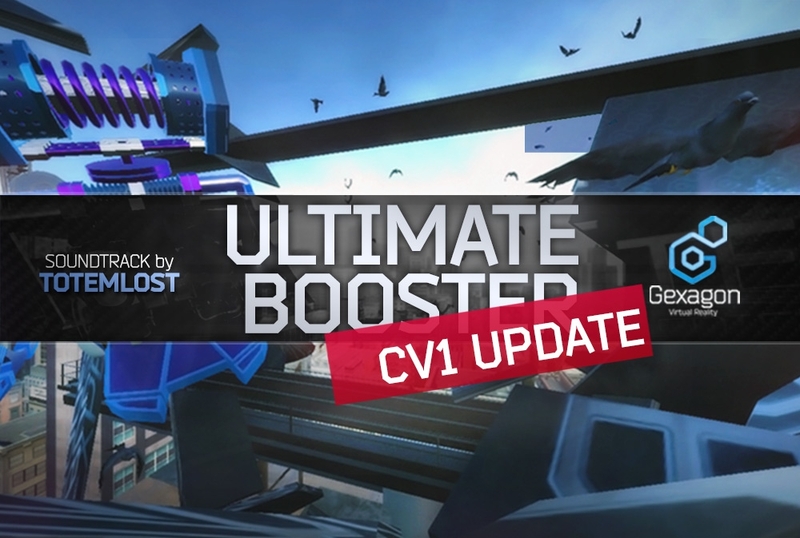 Hi, this week huge update is coming to HTC Vive version (3 new extreme game modes include free fly, base jump and plank, two more next month). We'll implement some of them (can't say which exactly) to Oculus version after Vive release only because we don't have Oculus Touch and they can't be shipped or sold to Russia legally, so sorry for now, guys. We don't want to ship you this on Xbox controller so you'll get less emmersive experience then Vive users get. Oh well, good luck with your quest for the touch! I'm not sure if you've seen my post on the bug list I found on V1.6.... but at least in V1.7.1 touch is working. When I look straight up, my body/head position remains fixed in mid air until I look straight again then I return inside the ride seat.. This bug is quite game breaking and that's whats preventing me to show the experience to my friends/family. Head position is rotated 90 degree in respect to the eagle. I have not found a way to start eagle mode from touch controllers. I have to start it with the mouse from the mirror menu. Hope to have these bugs squashed and show the app to friends! 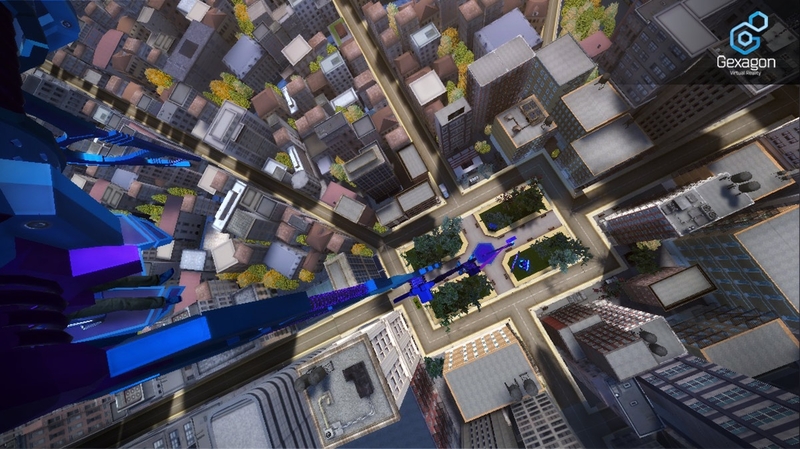 I find I am starting on a platform in the city, can select to get to canyon, get the eagle flight 90 degrees to my left but cannot select anything else at all. When I press for main menu it just flickers the screen and doesnt give me a menu. I am unable to play any ride other than the sideways eagle ride. Is anyone else having trouble running this now?